Somerset Museums Service held a painting titled ‘A Taunton Onion Seller’ dated 1909 and signed 'M. Trood'. Could anything more be found about the artist? An Art Detective user, Houston Lake, owned a painting of a similar style and colour, depicting a street scene in Tangier, Morocco, which was also signed 'M. Trood', and had a Windsor and Newton stamp on the reverse of the canvas. Information uncovered by Mary Siraut, a researcher at Somerset Museums Service, suggested that M. Trood was probably Mabel Grace Trood, the youngest sister of animal painter William Henry Hamilton Trood (1848–1899). They were the children of Taunton potato merchant William Trood and his wife, Myra Jane Oliver. Art Detectives confirmed the artist’s year of birth and death. Further research revealed that Mabel was an art student living in Hyde Park Gate, Kensington at the time of the 1891 census. She travelled extensively to the USA before the First World War, including a visit to Sausalito, California. In 1931 she travelled to Tangier, Morocco, where she may have painted the Tangier street scene, and another work called The Sultan’s Palace as recorded at its sale. The discussion was closed and Art UK now lists the painting as by Mabel Grace Trood (1872–1951). 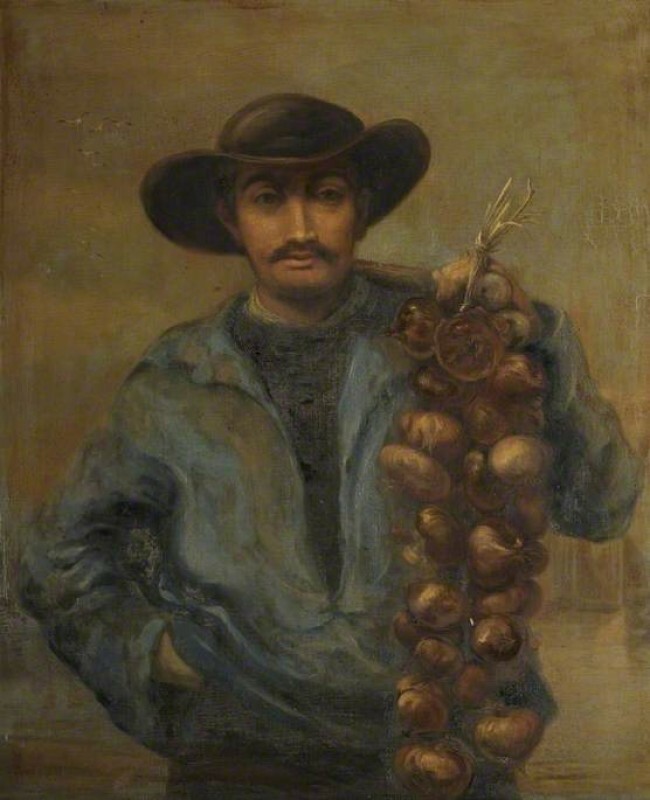 Did Mabel Grace Trood (d.1951) paint 'A Taunton Onion Seller'?